Travelling to a new place can be exciting but are you aware of what happens to the feet when you’re up in the air? 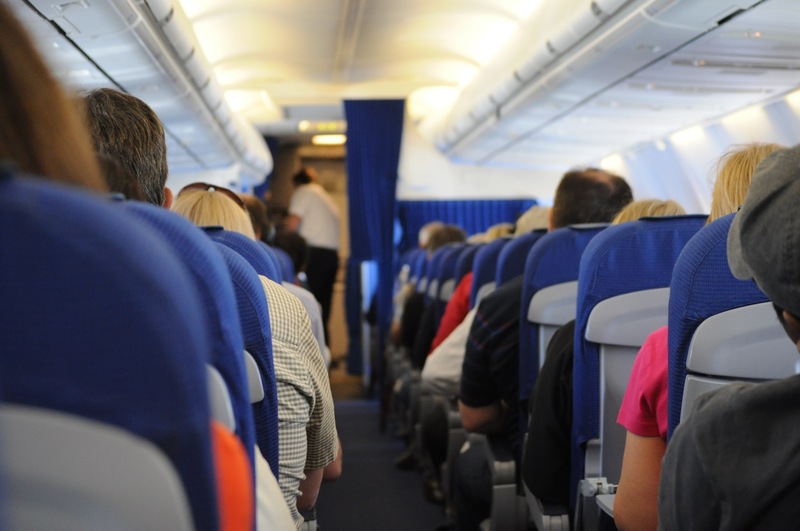 Dehydration and swelling of the feet and ankles are a few of what we experience when on a long haul flight but have you heard of Deep Vein Thrombosis (DVT)? It is a condition in which a blood clot or thrombus forms in the deep veins of the legs. How does DVT occur on a flight? 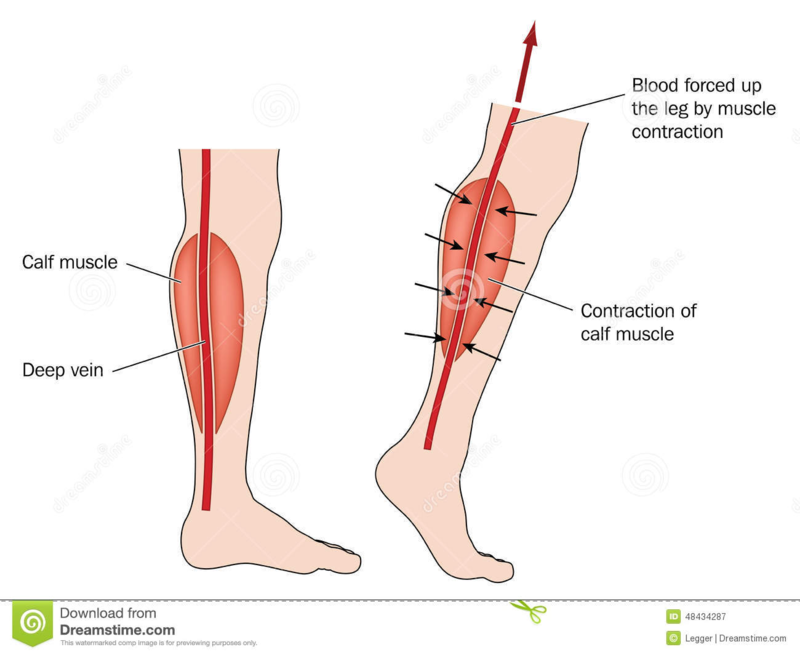 The return of blood from the deep veins in the legs to the heart is already difficult due to the force of gravity as well as the long distance that it has to travel back to the heart. 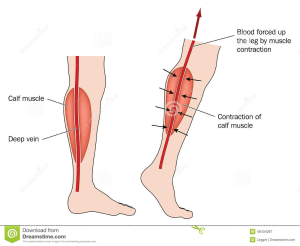 Therefore, the deep veins use the squeezing motion from the calves, which occurs with normal walking, for it to assist with the return of the blood. 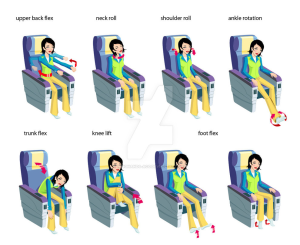 When sitting for long periods of time on flights, especially in a flexed position, the blood can pool in the deep veins which can lead to clot formation. Although DVT is a serious condition, it is the rare complications of DVT that can be life threatening. A DVT in the thigh carries a risk of Pulmonary Embolism. This occurs when a clot can leaves the vein and travels through the circulatory system and blocks off a major artery or one of its branches that supply the lungs. Around 1/3 of people who experience a major Pulmonary Embolism will die. 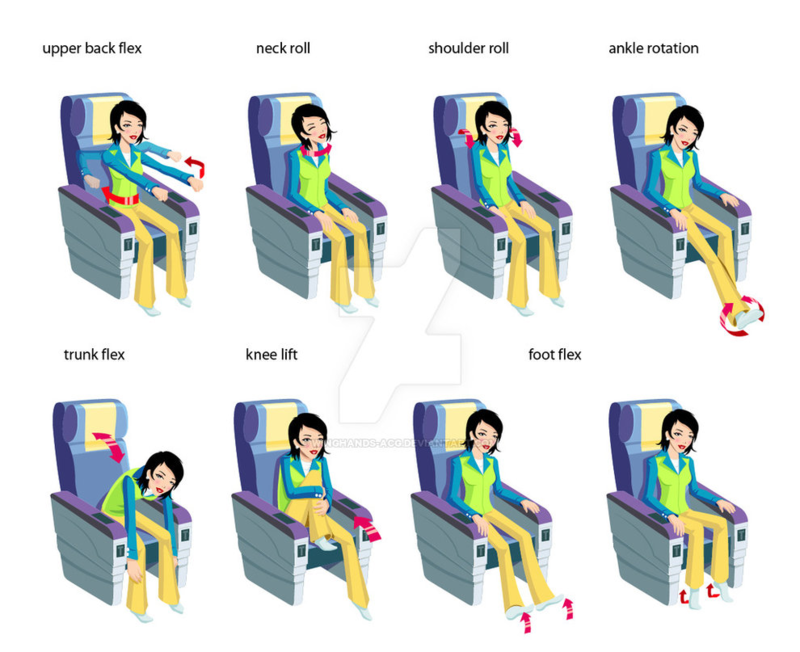 The diagram below from the Brunei Airlines Website demonstrates some in flight exercises that can be used while travelling on a plane. So the next time you are travelling, keep in mind to look after your feet! If you are suffering from any foot related issues don’t hesitate to visit us at Podiatry HQ. Our friendly staff are waiting to take your call on 8645 9800 or make your appointment online here.